Frame: 1959 John Taylor & Co.
7 18-2-4 1751 Robert Catlin Never Recast 1959. Traditionally weighed 18-2-4 but not likely. 1686 Tenor cast by James Bartlett. 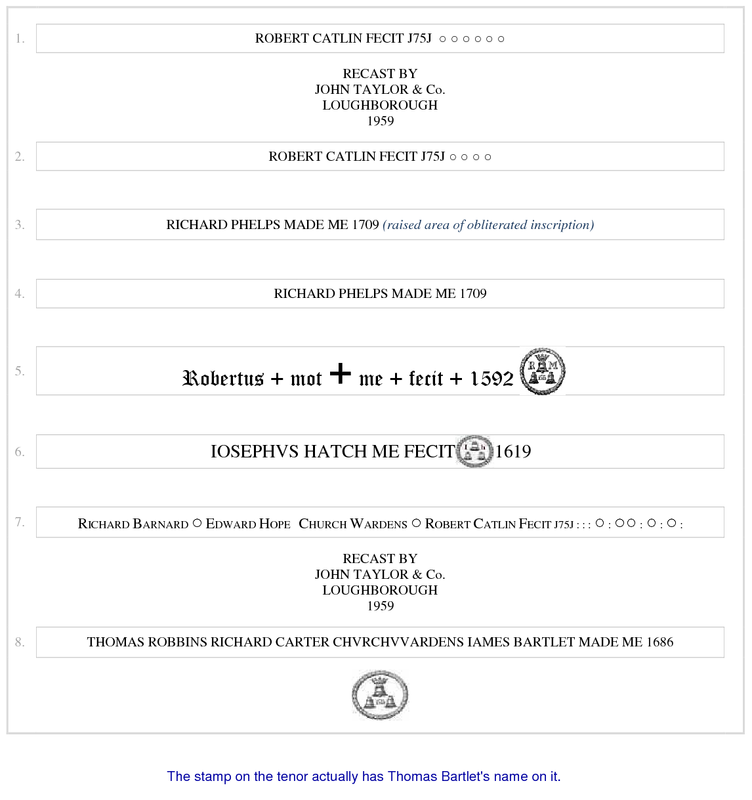 1709 The 2 trebles (of 6) were recast by Richard Phelps. 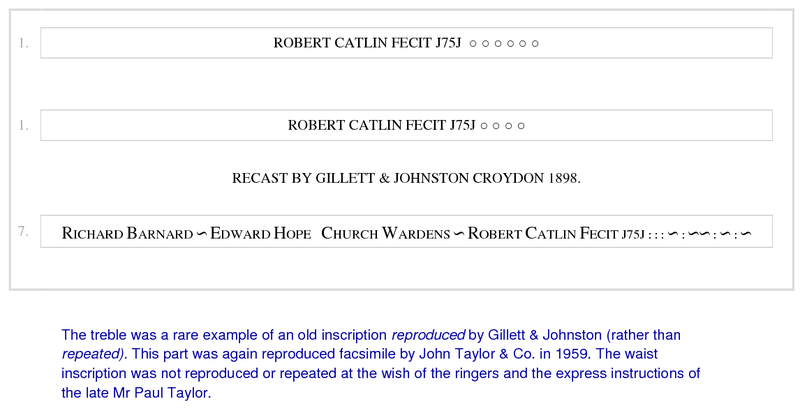 1751 5th (of 6) was recast and 2 trebles were added by Robert Catlin to make 8. 1898 Bells rehung by Gillett & Johnston, who recast the treble. 1958 Treble and 7th recast by John Taylor. Paul Taylor refused to put Gillett's name on the recast treble. 1959 Bells rehung with new fittings and framework, including the 2 newly recast bells. 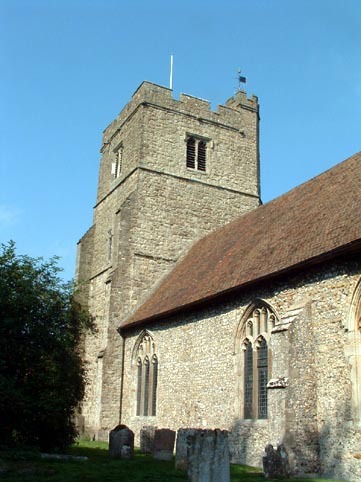 1960 Oct. Bells rededicated by the Bishop of Dover. Soon afterwards the tenor headstock cracked and had to be replaced. 1996 Former ringing gallery reinstated.